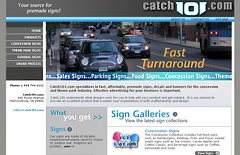 Catch101.com creates premade signs, banners and decals. 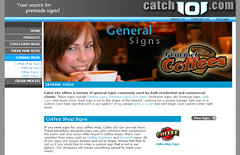 These bold and colorful signs are displayed on their website against a color scheme of soft greys and aqua. 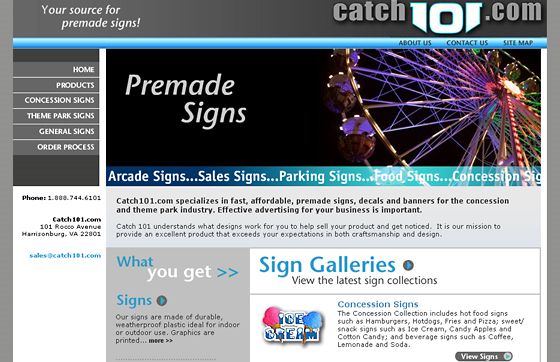 A flash presentation on the home page integrates images of a theme park, concession stand and busy street, all locations where these signs are used. 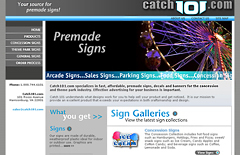 The focus of the website is to display the sign products clearly and to make it easy for customers to find what they need. Along the right of the page, a simple and straightforward navigation groups signs by industry. 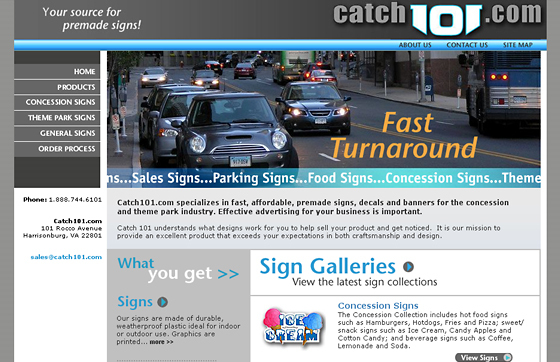 Drop-down menus in the navigation panel further hone the selection by signage style, making it easy to arrive at your destination in "two clicks".